What do you get when you join the True Lacrosse program? You get countless hours of training and development under the supervision and coaching of the top coaches in the area. All of our coaches have coached and competed at the highest levels. There is no program in the state that trains as much as we train, or who have coaches who have played and coached at the level our coaches have. Other programs get good lacrosse players in their programs, we develop great athletes in our program. We believe in the process of developing athletes through vigorous training, we do not "show up and play" at tournaments. "Other programs get good lacrosse players in their programs, we develop great athletes in our program"
No other travel organization has sent more athletes to play NCAA lacrosse than True. Our coaches have all been through the recruiting process either as a player and/or as a college coach. We have first hand knowledge of the ins and outs of recruiting. Our coaches are full-time lacrosse coaches, with connections and knowledge of the process that are not matched. Through our travel program, we offer high caliber tournaments, marketing tips, instruction on how to create highlight tapes and how to communicate with college coaches, and assistance throughout the recruiting process. We also have a recruiting director dedicated to each of the athletes in the program. When it comes to navigating recruiting process there isn't a travel organization that produces results like True. "Our coaches are full-time lacrosse coaches, with connections and knowledge of the process that are not matched"
As a national organization across 14 states and Canada, nowhere else provides the opportunities that True Lacrosse has to offer. From the connections of coaches in the program from all across the nation, to chance to play at the national level with True National, we work together to provide athletes the opportunity to develop and get exposure like no where else. With all of these opportunities available for our athletes, we always look back to our belief in training and hard work. The athletes in our program who train the hardest, who outwork their competition and dedicate themselves on the field & in the classroom, are the athletes who thrive within True Lacrosse. We are constantly looking for athletes who are hungry to better themselves. 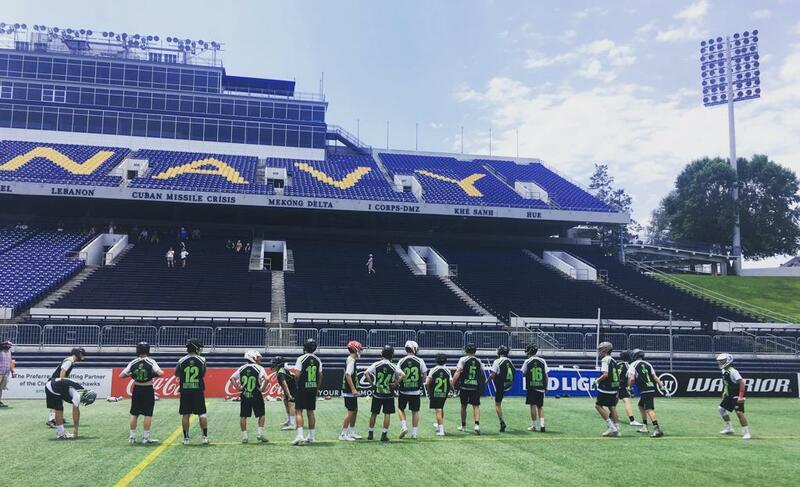 "We are constantly looking for athletes who are hungry to better themselves"
True Lacrosse is a program like no other; athletes from across the country see the black and green and are immediately connected through True. There is a brotherhood formed from the sweat and blood that goes into the training it takes to be in this program. Whether a camp in Wisconsin, a tournament in Minnesota, a showcase in Indiana, or a national team training event in Maryland, our athletes meet and connect with other athletes from across the map. Within True Indy, we are truly family. Weekend practices, community services, post tournament team meals, and countless hours spent training & having fun together all go into the program. We have athletes & coaches from all over Indianapolis who come together and share a passion for this game of lacrosse. "There is a brotherhood formed from the sweat and blood that goes into the training it takes to be in this program."